NEW YORK -- Get out on our waterfront-and on the water-on July 16! 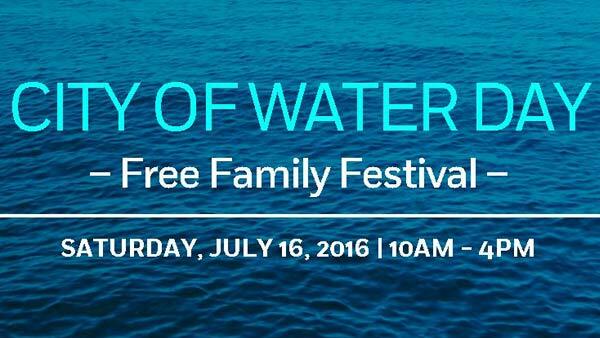 The Waterfront Alliance's City of Water Day is a free, family-oriented celebration of the world-class potential of the New York and New Jersey waterfront. Find out all about this event in July! Now in its ninth year, this event has grown into the region's biggest harbor festival. Held on Governors Island, New York; Maxwell Place Park, Hoboken, New Jersey; and dozens of In Your Neighborhood locations around New York Harbor, the event draws thousands of people to the water for a day of fun. Highlights of the day include free boat tours on all kinds of vessels, from tall ships to tugboats; free rowing, kayaking, paddle-boarding, and the highly anticipated Con Edison Cardboard Kayak Race; and the Waterfront Activity Fair and Disney Children Activities offer something for the whole family. Learn more at waterfrontalliance.org and by following @OurWaterfront on Twitter (or search #CityofWaterDay).